We provide services for CD/DVD Copy Protection that are useful because of their many exciting features such as accuracy and reliability. Advanced technological techniques are used in the process. It is helpful in controlling piracy and in increasing the sale of product. 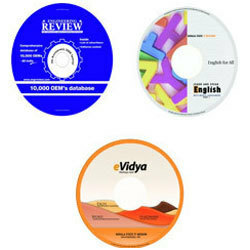 We provide copy protection of data for CD/DVD in both video as well as data format. This unique feature helps in controlling piracy as the data cannot be copied to hard disk or from media to media thus increasing the sale of products. Looking for CD DVD Copy Protection ?